KANSAS CITY, Mo. 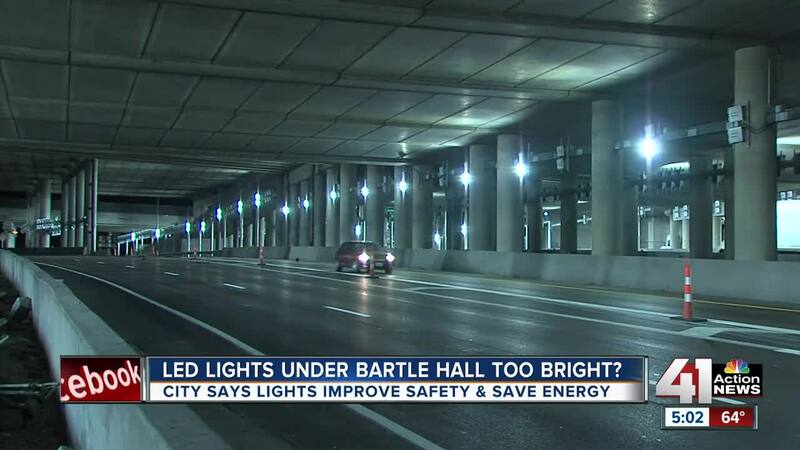 -- The Interstate 670 tunnel underneath Bartle Hall is much brighter than it used to be. In January, the Kansas City Public Works Department started a $7.5 million project to install roughly 1,800 LED panels to brighten the tunnel for drivers. "Not only is it going to provide us safer access for travelers, but also it's a cost savings for the city in the long run," Public Works spokeswoman Beth Breitenstein said. Breitenstein said there's a 60 percent energy cost savings by upgrading to LED lights, which are causing the tunnel to be much brighter. "Going from inadequate to a tunnel standard is going to be a noticeable change," Breitenstein said. But drivers have mixed views on the change. Some believe it's too bright in the tunnel. "Especially at night, the contrast makes it a little bit hard to drive and see. It's kind of startling," Rachel Stang said. Other drivers see the change as a positive, though. "I think it's a good thing. I think that it just brightens everything up, especially at nighttime, so you can see because there's always like homeless people walking through here," Charles Gabauer said. Breitenstein said the LED lights have automatic sensors on them to adjust based on the time of day, which should help drivers' eyes adjust as they drive through the tunnel. The city urged drivers to be patient and said it was an ongoing construction project. All LED lights should be installed by March 2019.